Minion Tim In Jail Plush Bag Clip | Minion Shop. 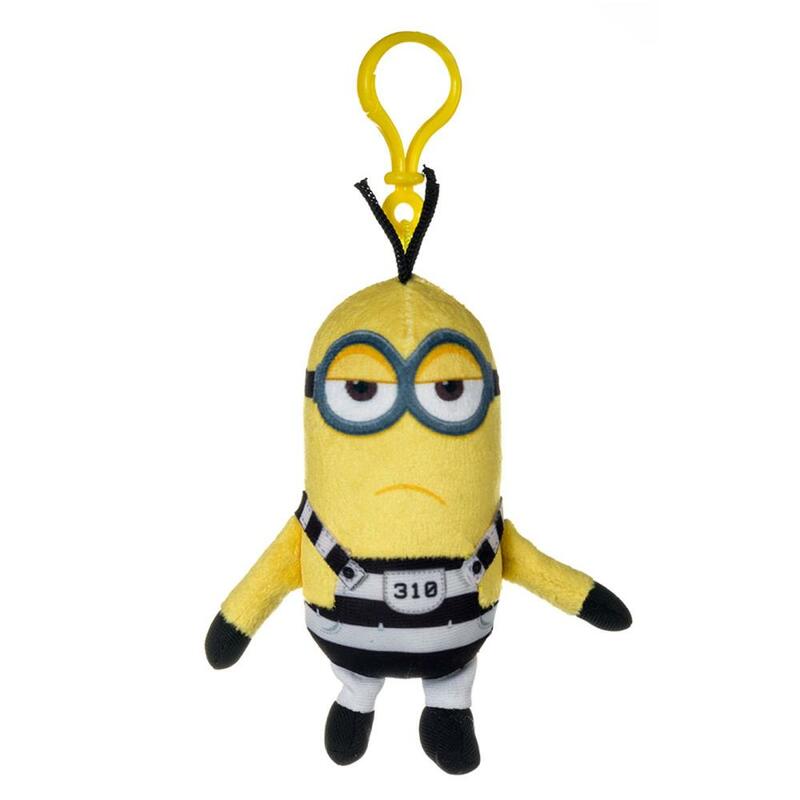 With Six characters to collect including Minions Dave, Bob, Stuart and Tim, Plus Fluffy the unicorn and new character Uni-Goat you can now add some flare to your bag, keys or backpack with this despicable me 3 soft bag clip. Size (excluding clip) 12cm x 9cm approx.